Around the end of December 2009 my son Tyler came home from school one day and out of the blue he asked if he could take Karate. He said that he was not being bullied and no incident occurred at school. 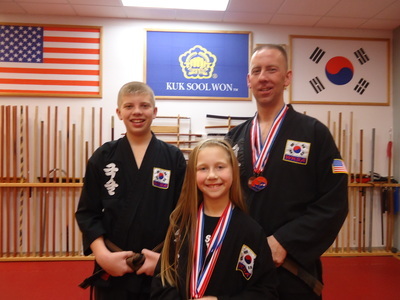 We researched the area and found a small Kuk Sool Won martial art school at the corner of Belay and Richfield. Like many parents, I really did not know one martial art from another and never heard of Kuk Sool Won. As I was watching Tyler in class, I knew that he liked it and he would want to join. Sure enough, class ended and he told me that he loved it and wanted to sign up. I thought this would be a perfect opportunity for me to spend time with my kids. Tyler, my daughter Brooklynn and I joined and our journey began. People join a martial art for many different reasons and only a handful ever earn a black belt. Some only join to become more physically fit, learn some self defense, just for fun or like me, to spend time with my family. Along the way, the benefits of Kuk Sool Won transform you. 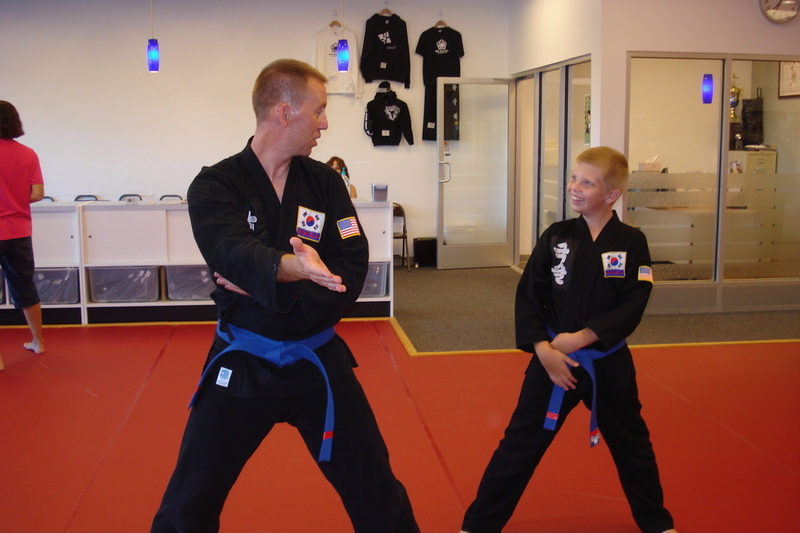 Any student starting any martial art will become more physically fit. 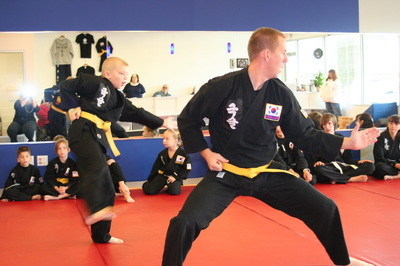 Kuk Sool Won students start to develop self discipline and confidence. Kuk Sool reduces stress and promotes a healthy living style. It’s fun too! 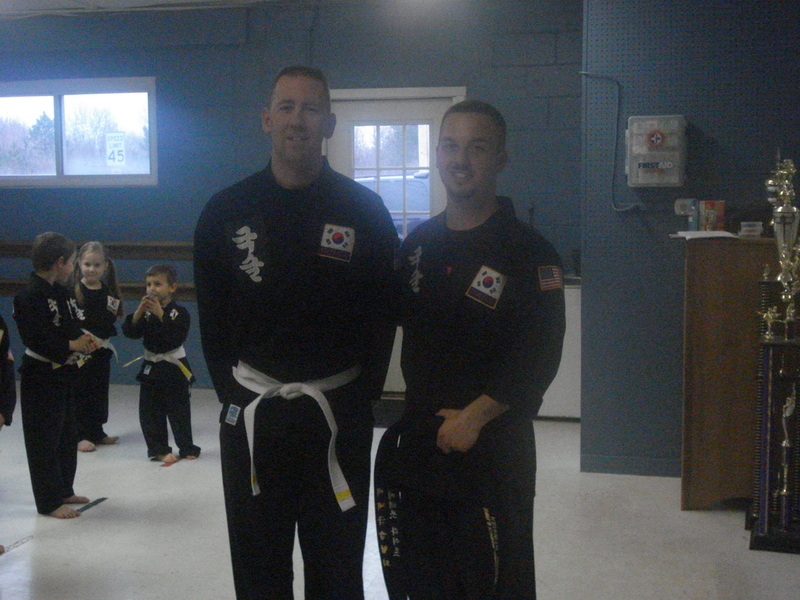 I have just gone through the journey of earning my black belt. Having a black belt around my waist means nothing without the journey. I now wear a black belt during class but the value of the belt goes far beyond the color of the belt. 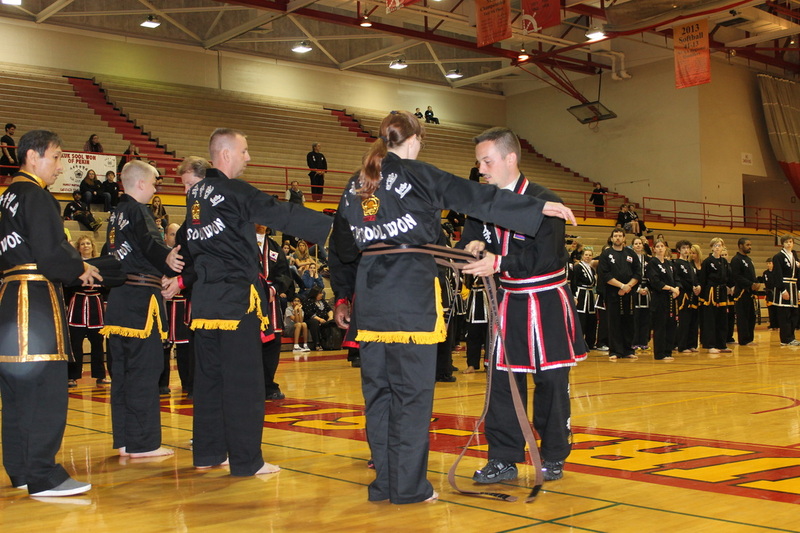 The black belt represents years of dedication and commitment to learning. It is obvious that I joined Kuk Sool Won to learn self defense, but along the way I have learned a great deal about myself and the character of my children. I have become a better person and my children have developed a strong work ethic that will last a life time. Kuk Sool Won instills in every student the respect for others as well as yourself. 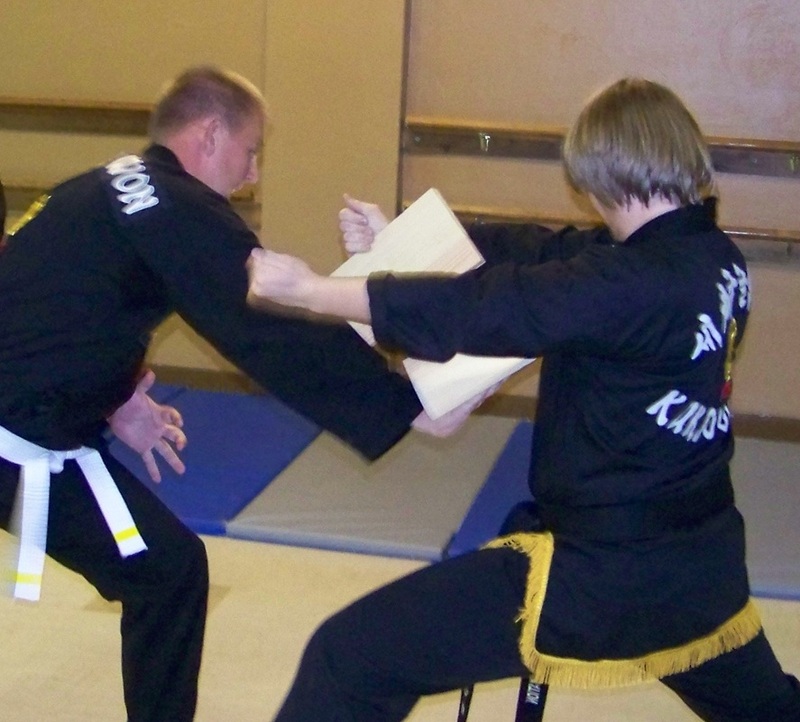 Kuk Sool will push you to your mental and physical limits. “I can do more than I think I can” is a life changing motto that we use in class. This motto is easily adapted to everyday life. 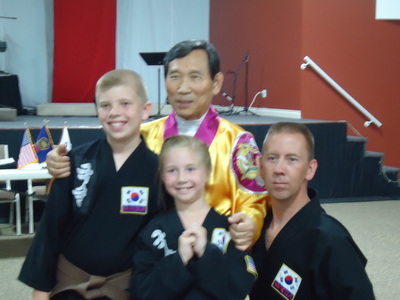 Kuk Sool Won teaches students and empowers them to reach for those goals that seem impossible. 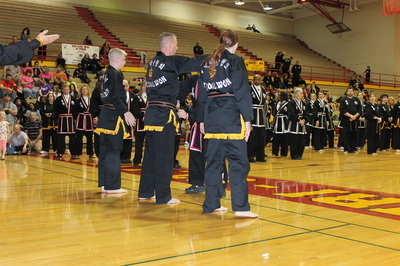 I used to see black belts as people that could really defend themselves if they had too. It is true that they can but I now see black belts as much more. They are humble people that understand that the black belt is just the beginning. Wait a minute; isn’t the black belt the end? 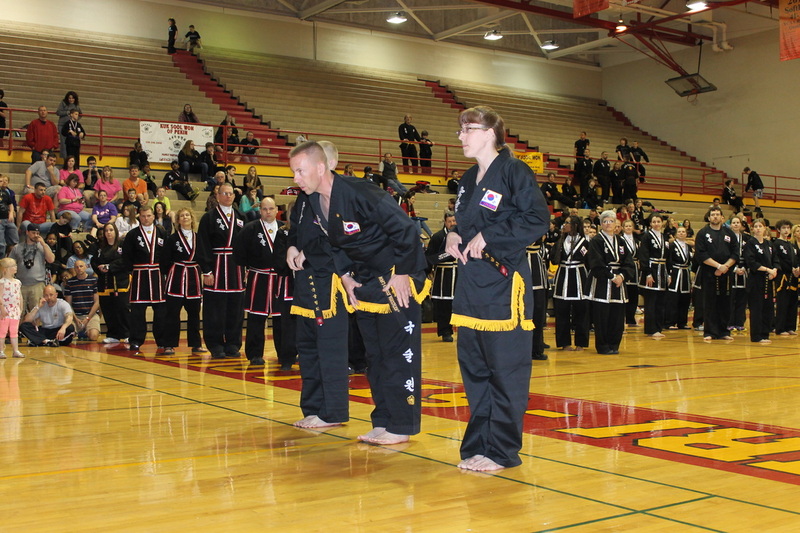 Earning a black belt shows that you have accepted the martial art life style. That person now has an indomitable spirit that cannot be easily broken. All goals are now obtainable with hard work and practice. With or without my belt on, I am living the black belt life. 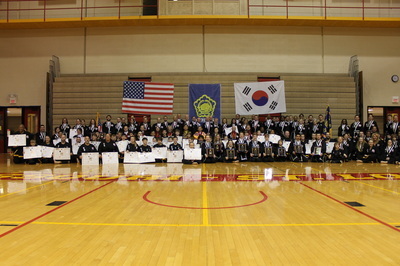 Over the years I have made friends at the Kuk Sool Won School that I will keep for a life time. We are not just a Kuk Sool Won martial art school; we are a Kuk Sool Won family. We encourage each other to strive to new heights and achievements. We support and help each other, regardless of a person’s rank to become better students. This positive environment is possible because of great role models to follow and learn from. When we started, Tyler, Brooklynn and I had PSBN Kenneth Wright, (Head instructor) to look up to. PSBN Wright’s skills are amazing and his passion for teaching shows in everything he does. PSBN Wright strives for perfection and motivates others to do the same. 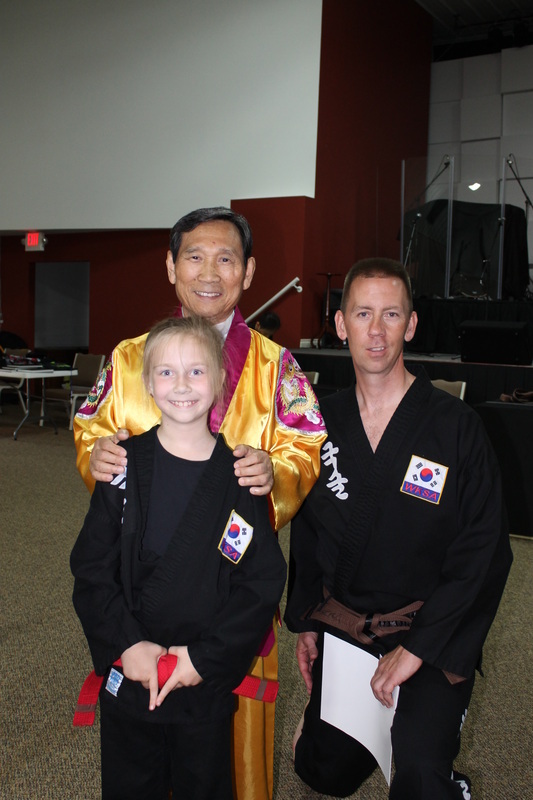 Tyler, Brooklynn and I have also seen classmates and friends work hard to achieve their goal to become a black belt. JKN Tim Conger and JKN Amanda Wright were the first student we seen rise to that level. JKN Conger and JKN Wright have become very skilled martial artist and great instructors. Since then, we have watched JKN Mariah Guye and JKN Jazaris Arrington achieve their black belt goals. Being inspired by these great people has been the greatest moments that I can remember. 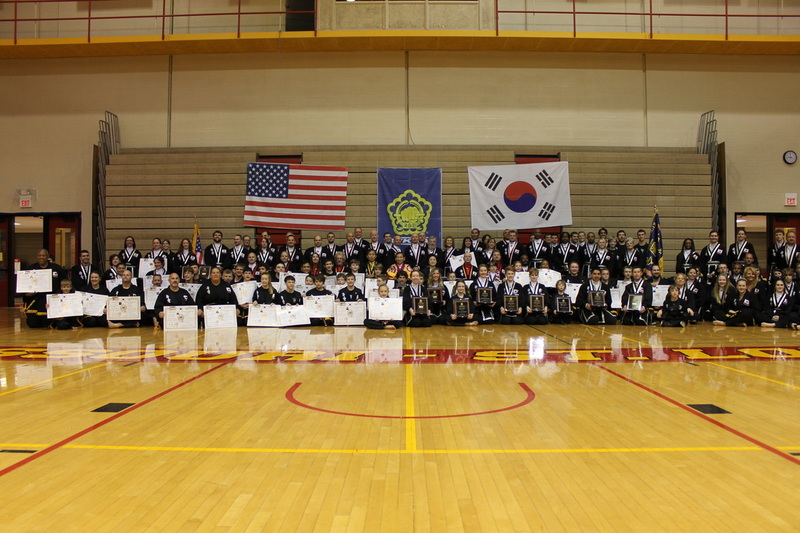 In 2014 our school proudly watched JKN Mariah Guye become Grand Champion at the Midwest championship in St. Louis. I can only hope that our skills will someday match theirs. Their skill and positive attitudes continue to inspire all of us. 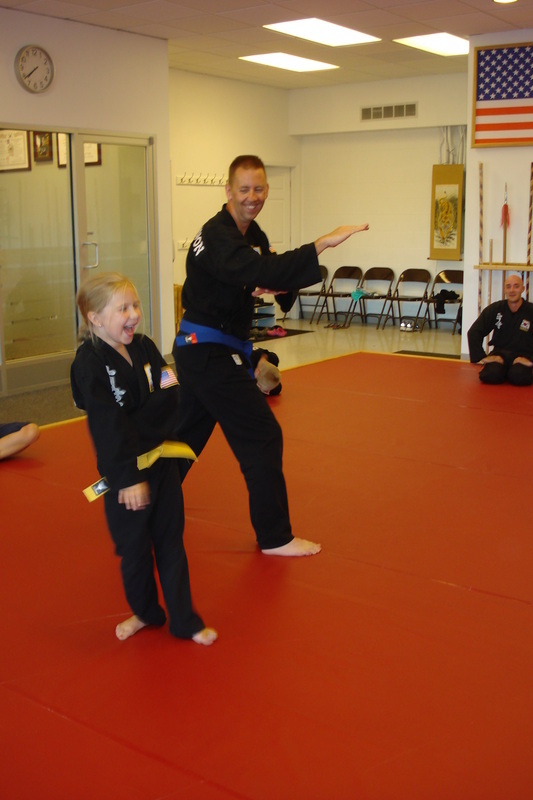 My daughter, Brooklynn still working towards her black belt but maybe one day, Tyler, Brooklynn or I may have the honor of inspiring someone else to reach their goals the way many black belts inspired us. 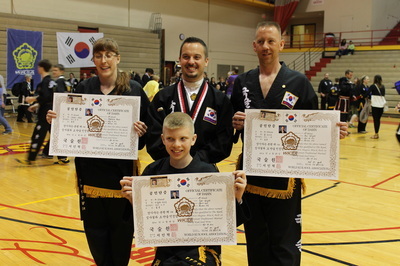 I would like to personally thank SBN Kenneth Wright, JKN Billy Krantz, JKN Tim Conger, JKN Amanda Wright, JKN Mariah Guye, JKN Jazaris Arrington, and the entire Kuk Sool Won family for the honor of helping Tyler and I achieve our goals. Why did you start KSW? Because my oldest son Tyler wanted to join. Most memorable moment at any KSW event? 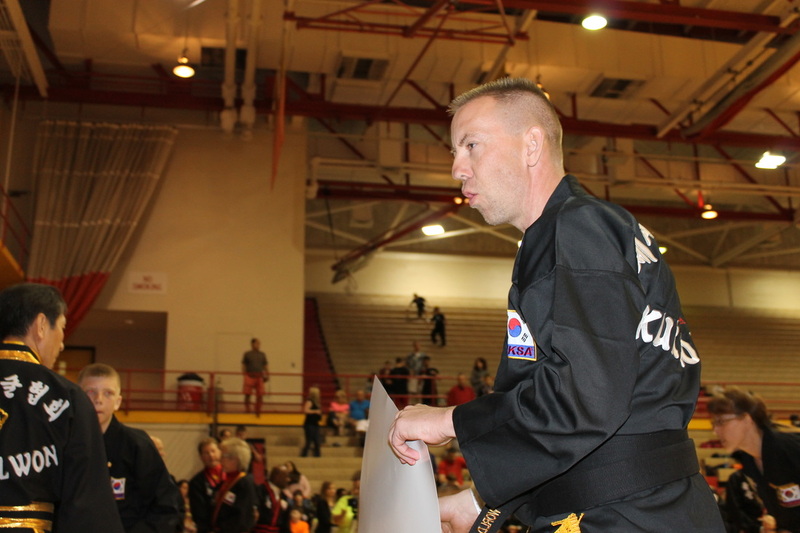 2014 St. Louis Midwest championship, getting my black belt on the same day as my son. 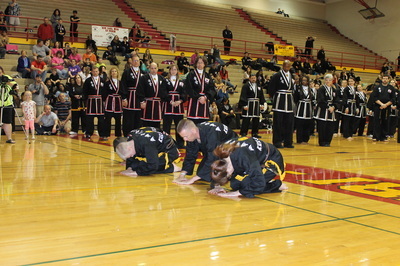 Most difficult thing you overcame to earn your black belt? At 43 years old, training with all the aches, pains and injuries the goes with learning Kuk Sool. Who would you like to thank? My son Tyler for wanting to join Kuk Sool Won, My wife for putting up with everything. (Time, money, seminars etc.) SBN Kenneth Wright for all the patience with me, All the JKN for helping me along the way. Every Kuk Sool Student that have I practiced with over the years.